What started out as a quick trip into the pet store, turned into an hour of drooling over turtles. We looked at the ferrets and cats available for adoption, birds, hamsters and furry little guinea pigs. 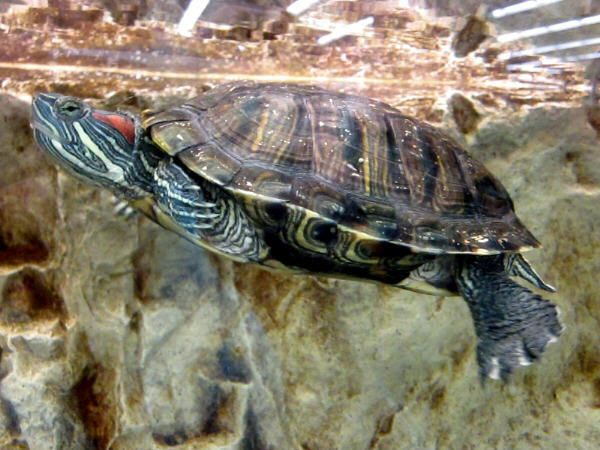 We ventured over and looked at fish and snakes, but once the kids spotted the turtles, it was all over. 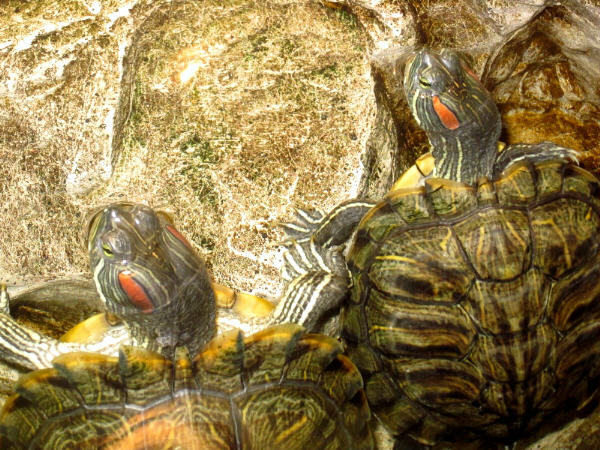 I kid you not, they admired those little hard-shelled swimmers for a very long time. They even picked out which turtles were “theirs,” and then squealed every time their turtle did something exciting, like go up for air. 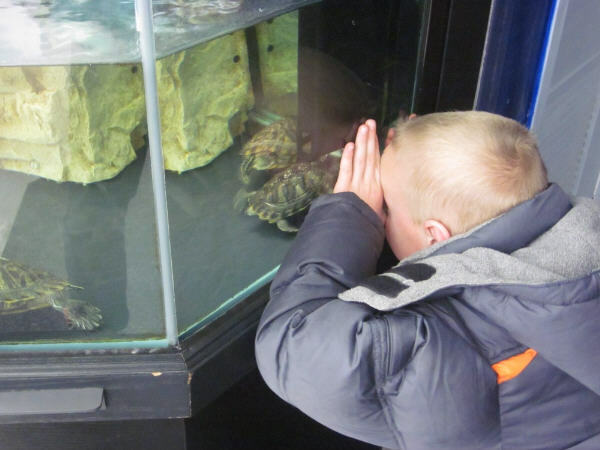 When the turtles would claw at the tank, the kids were convinced it was because they were trying to get through the glass to be with them. I am sure this is exactly what they were doing. 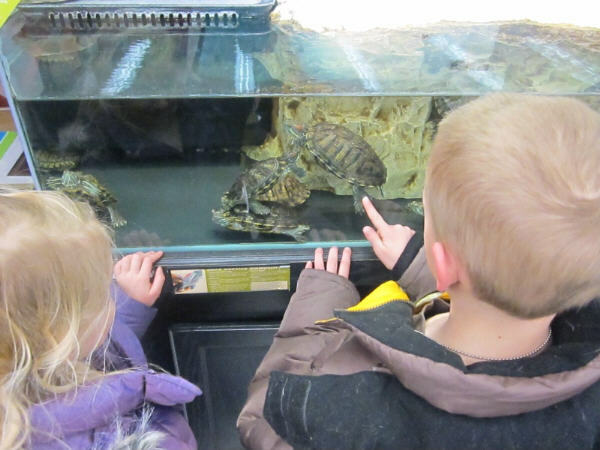 The kids even drug me over to show me the tank that we needed and Nathan was kind enough to point out their selection of turtle books. Between the three of them, they asked if we could get a turtle close to 1,500 times. I assure you, this is no exaggeration. Of course they didn’t want just one, they each wanted to get their own. They had, after all, already picked them out. Somehow, we managed to make it home without any turtles, but I have a pretty clear image in my head of what three little faces would look like if we were to actually bring a little swimmer home. Perhaps one of these years, we will have to surprise them and say… yes. I feel the same way when I see the kitties for adoption at the pet store. Can we take home just one, huh? Please, please, oh pretty please! Not too long ago they had a young cat named Peanut that I just looooooved. He was an orange guy. So sweet. It’s hard to leave them when you know they need a good home. I’m such a sucker for a cute kitty, and they’re ALL cute!!!! I know! That’s the problem!